Our clients wanted us to remodel their very outdated and just plain depressing master bath, focusing on a warm contemporary style, light materials and finishes, maximizing natural light and with aging in place in mind. Our first selection, the marble with its beautiful colorations and movement, became the inspiration for the entire bathroom design. As an artist, he loved the very sculptural freestanding tub which then became the focal point of the bathroom. Custom cabinetry with a driftwood finish and lots of storage, elegant faucets, unique lighting, satin privacy glass, brushed finished porcelain tile, and decorative “island stone” used creatively and to enhance safety, were all selected for the primary design elements. 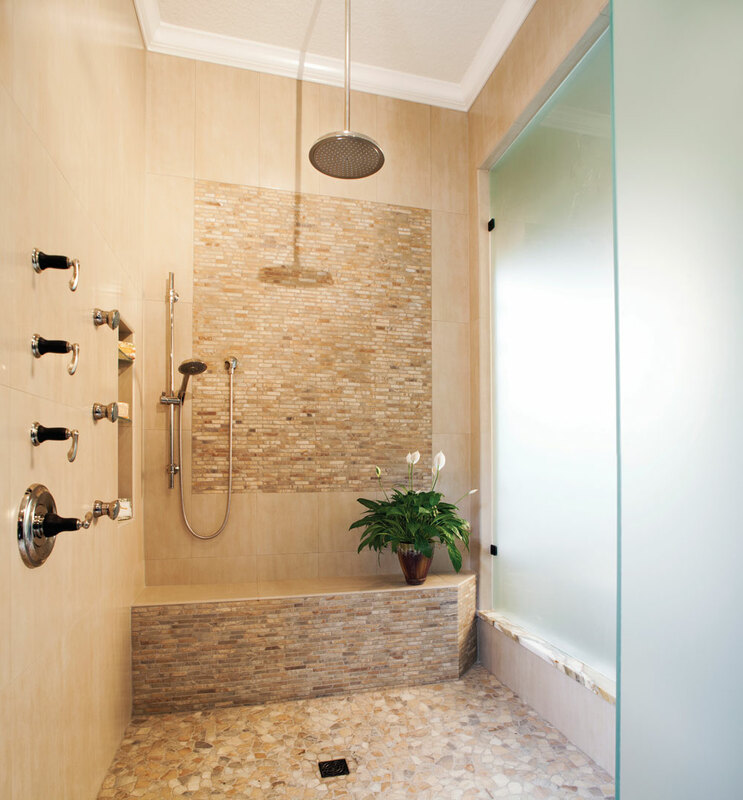 Body sprays and multiple showerheads are the bells and whistles creating a spa atmosphere enjoyed by the homeowners, who say that their beautiful and greatly improved master bath enhances their quality of life.